Speaking of phone apps (and we were speaking of phone apps, specifically the new Diner’s Dream app in use at Nourish), this year Zoobilation will have a phone app to help gala-goers navigate the June 12 Indianapolis Zoo food and drink fundraising extravaganza. 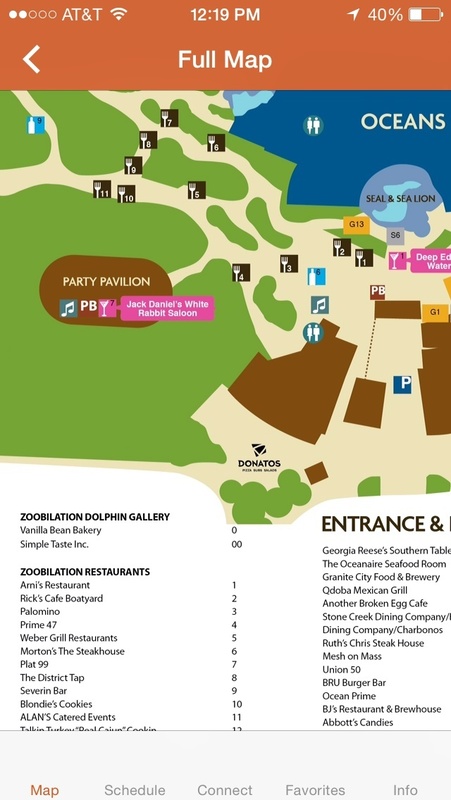 The free app, whose icon features Zoobilation’s cute koala face on an orange background, includes a full map of the zoo that shows where each restaurant booth, specialty drink stand, party pavilion and live music stage is located. So if you’re looking for that St. Elmo shrimp cocktail or the carrot cake from Alan’s Catered Events — or if you want to sample a new restaurant like Plow & Anchor or Louie’s Wine Dive or Dark Horse Delicatessen — you can easily find them. 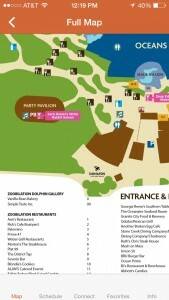 Plus, many of the restaurants already have their dishes listed, so you can check to make sure that the shrimp cocktail really will be there (no worries; it will be) or find out what a new place will be offering – such as Dark Horse Delicatessen’s smoked peach soup with Vegemite cream – fitting, of course, with the party’s Australian theme.